Do you even know what's happening in the world today? Me neither, because I've been watching the Rogue One trailer on repeat pretty much since I woke up. Officially called Rogue One: A Star Wars Story, this prequel/spinoff hits theaters this December. Like many fans, I've been withholding my excitement until I could get a sense of whether this was just going to feel like cash-grab filler before Episode VIII debuts in 2017. Clearly this will be the story of the team that brought the Rebel Alliance the secret plans for the Death Star, including its womp rat-sized exhaust port. 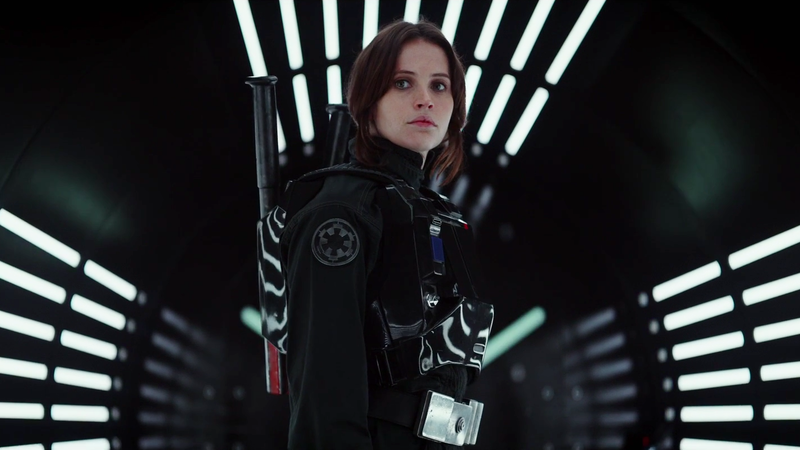 More important, it's chock full of new, iconic characters: Felicity Jones as the rule-flouting Jyn Erso, martial arts badass Donnie Yen as some kind of interstellar samurai, Forest Whitaker as as Forest Whitaker in a bulky suit! And there's a whole new set of bad guys in capes and dark helmets! Even I'm not sure why I'm using so many exclamation points! Rogue One is directed by Gareth Edwards, who helmed the brilliant 2010 indie film Monsters and the not-so-brilliant 2014 reboot of Godzilla. So, his track record is mixed, but in this case he seems to have something truly special on his hands.